A wedding crasher refers to a person who shows up at the event uninvited. While such people commonly enjoy a bad reputation and are considered to be a menace by the majority, it is difficult to argue with the fact that they do inject a significant amount of excitement and fun into what would otherwise have been a very dull affair. Not many people appreciate wedding crashers for all that they do to make the night a memorable one for the guests, but that hardly discourages them from carrying out their mission. 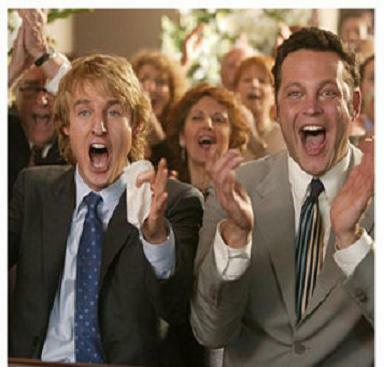 If you understand the importance of wedding crashers and realise just how much they contribute to a wedding, then you may want to become one of them yourself. There are, however, certain things that you must keep in mind to ensure a safe and exciting experience. Always show up at the wedding with a gift. It does not really matter what you bring, as long as it is packed in a big, shiny box so that it attracts a lot of attention. Be sure to have a cover story prepared for showing up with such a ‘grand’ gift because everyone will be interested to know just how close you are to the bride or groom. Never crash a wedding without a cover story. You will have a lot of explaining to do for showing up at the function without an invitation card. Make sure you have a believable story to tell in order to kill any suspicion among the guests. You can introduce yourself as a friend of a friend, or a distant relative of the bride or groom. In case you have already spent some time in the wedding and made a few connections, you can use them as part of your cover story, though make sure you give them the cue to play along. Be polite to all the wedding guests that you meet. Just because you are crashing a wedding and are not really related to anyone there, you cannot assume that you have a license to be rude, get drunk and create a scene. While mingling with the guests, focus on the ones that have shown up at the wedding alone. Try to avoid getting too friendly with the attendances that are there with a significant other, as that can lead to undesirable consequences.